Double the hearts, double the romance. 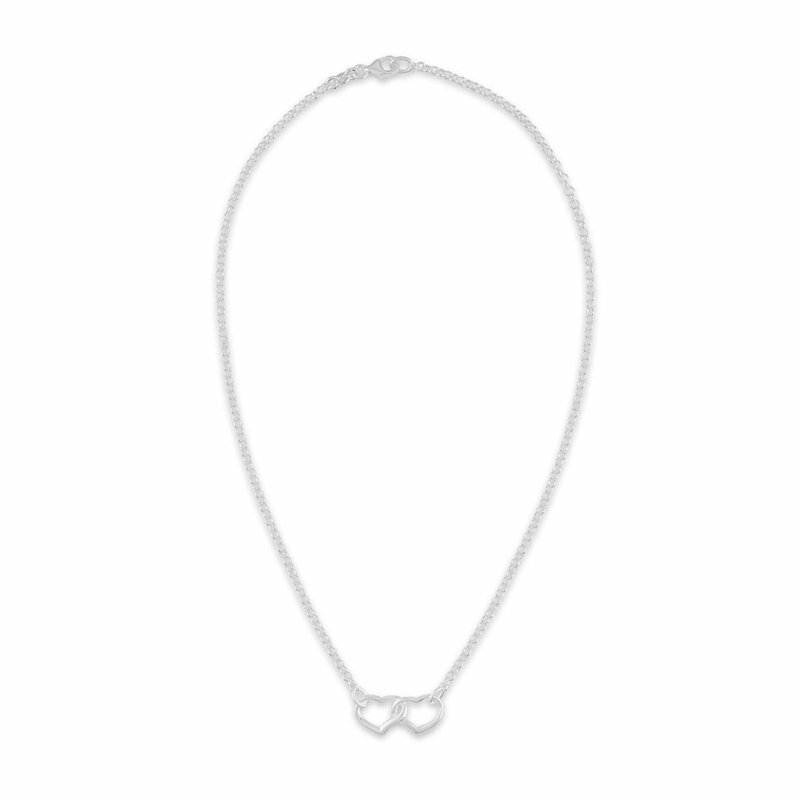 This simple and elegant necklace features interlocking heart in sterling silver. The 18-inch cable chain fastens with a lobster clasp.